Joe Stork is deputy director of the Middle East and North Africa Division of Human Rights Watch. 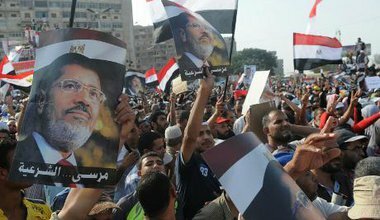 With the mass trials in Egypt of Muslim Brotherhood members in the media spotlight, behind the scenes authorities are drafting wide-ranging “counter-terrorism” legislation which could add another turn to the authoritarian screw. The United Arab Emirates' human-rights record is under new scrutiny. The European Union should follow the lead of its parliament and put the issue at the centre of its engagement with the Gulf state, says Joe Stork.